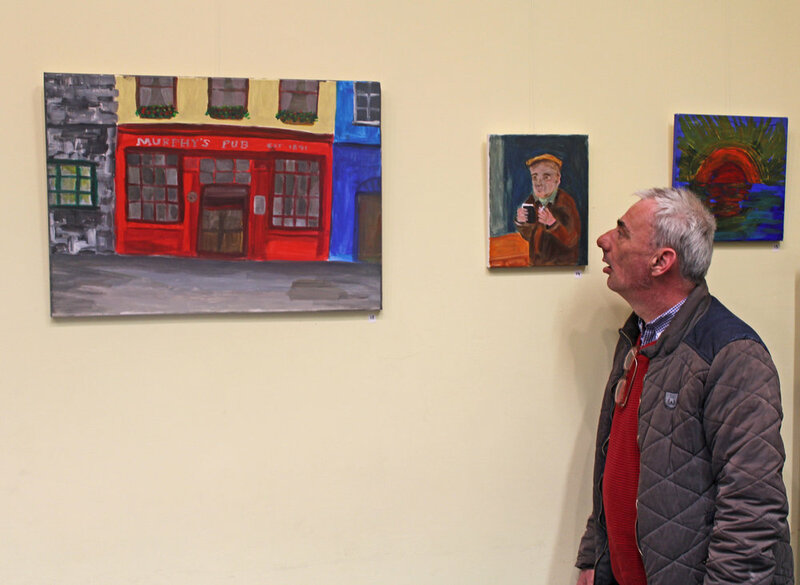 “Growing Art” is a new art exhibit in Westside Library by adults with an intellectual disability who avail of services provided by Ability West at Brooklodge Adult Day Service in Ballyglunin. The exhibit will run from March 22nd to April 20th in Westside Library. 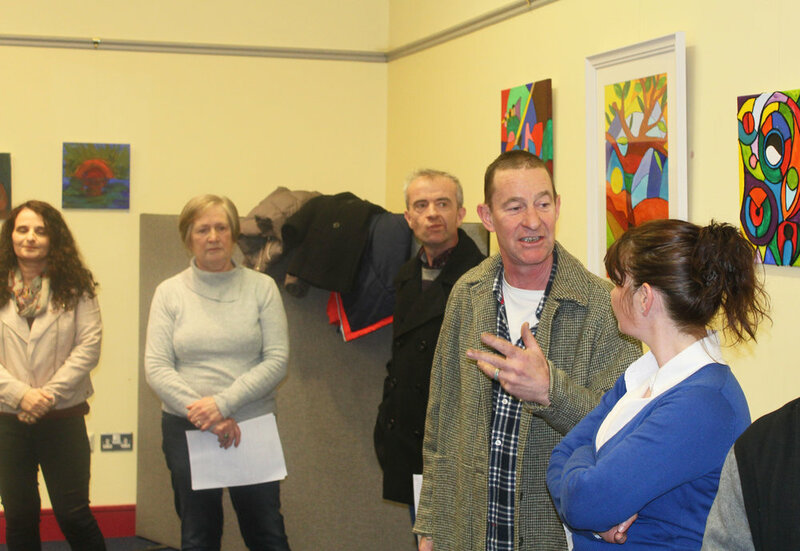 Volunteer artist Galit Costello has been working with the service users to develop this project for the past number of months. The paintings in the exhibit demonstrate a deep influence by nature and the animals who live at Brooklodge, including a flock of hens and two donkeys. Many of the artists come from a farming background and enjoy spending time tending to the organic garden at the centre. A passion for sport is also apparent in tributes to Manchester United and Galway GAA. Brendan Fleming’s works include a vibrant cockerel and a vivacious portrait of pigs in a farmyard. Brid Preston’s painting of the Diving Tower at Blackrock in Salthill is complemented by embroidery stitching which enhances the sense of natural movement in the water and sky. Raymond Power has a keen eye for colours and shapes. His eye for meticulous detail is distinct in both his self-portrait and the painting of Murphy’s Pub on High St. Information on all the artists featured is available at the exhibit. Visit Westside Library during their opening hours from March 22nd to April 20th to support the budding artists. Many of the paintings on display are for sale; for inquiries about purchases please speak to the library staff.